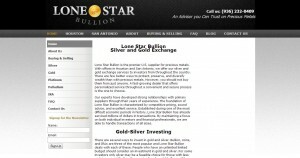 Lone Star Bullion LLC address, phone, website, hours of operation, and more. Lone Star Bullion is the premier U.S. supplier for precious metals. With offices in Houston and San Antonio, we offer our silver and gold exchange services to investors from throughout the country. There are few better ways to protect, preserve, and diversify wealth than with precious metals. However, you should not buy them from just anyone. A fast-growing dealer that offers personalized service throughout a convenient and secure process is the one to choose. Our experts have developed strong relationships with primary suppliers through their years of experience. 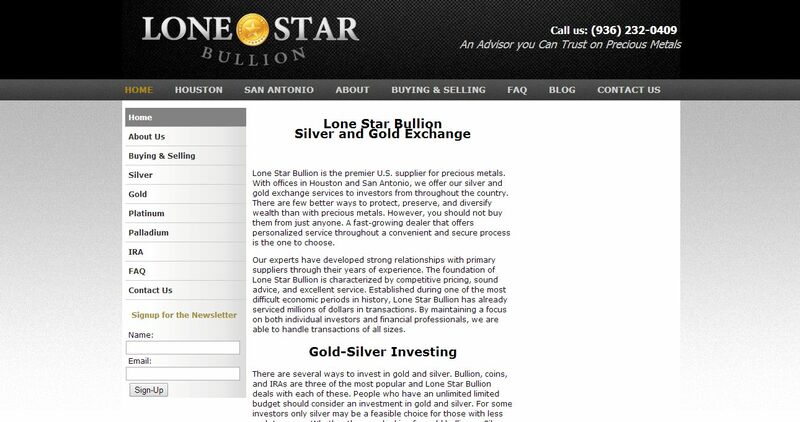 The foundation of Lone Star Bullion is characterized by competitive pricing, sound advice, and excellent service. Established during one of the most difficult economic periods in history, Lone Star Bullion has already serviced millions of dollars in transactions. By maintaining a focus on both individual investors and financial professionals, we are able to handle transactions of all sizes.